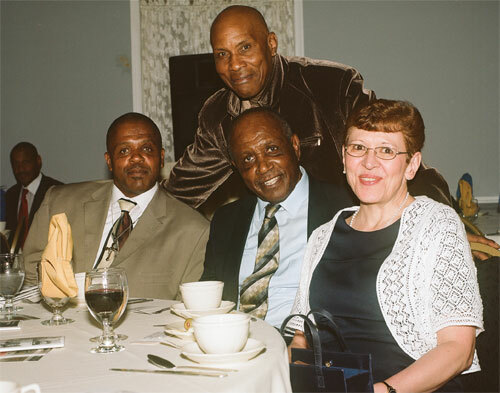 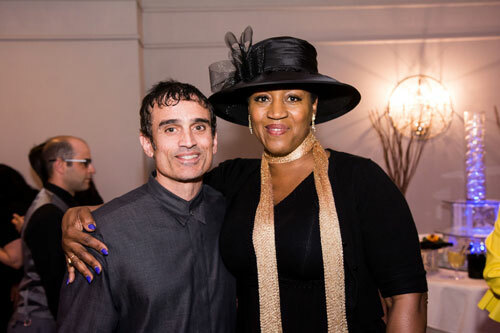 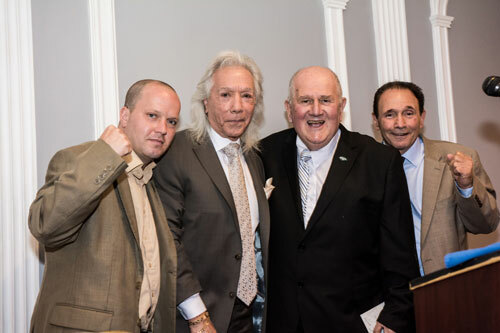 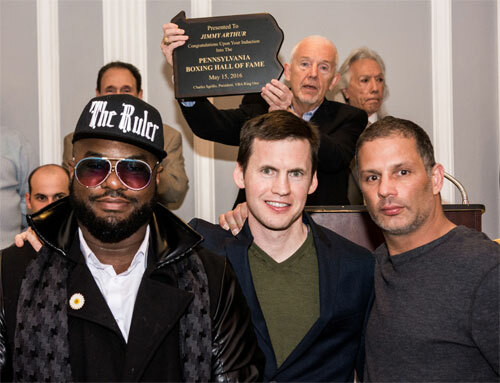 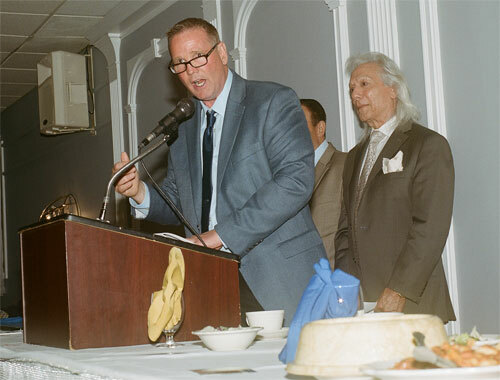 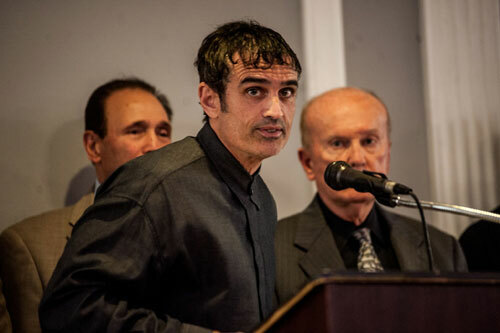 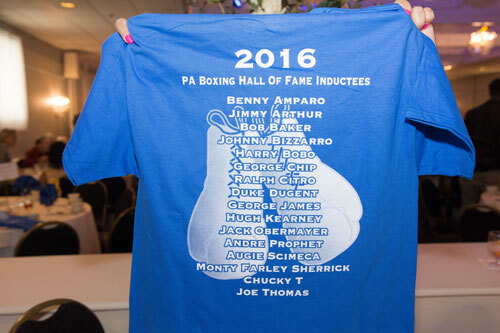 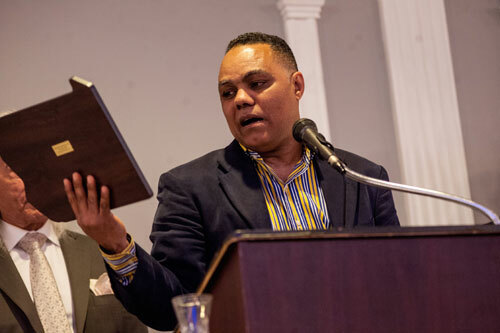 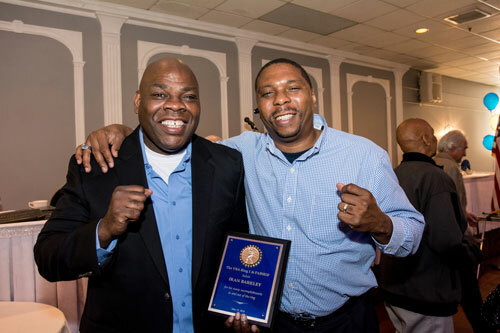 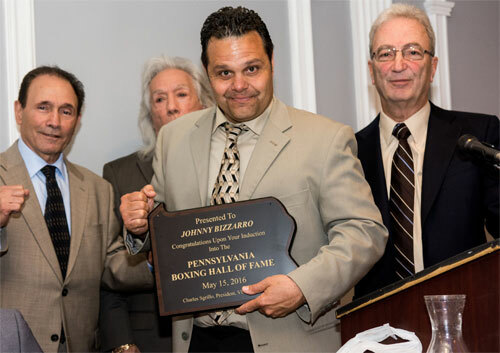 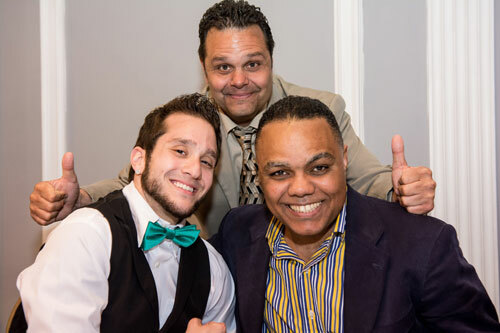 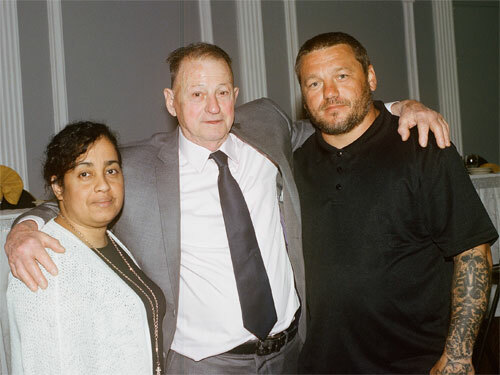 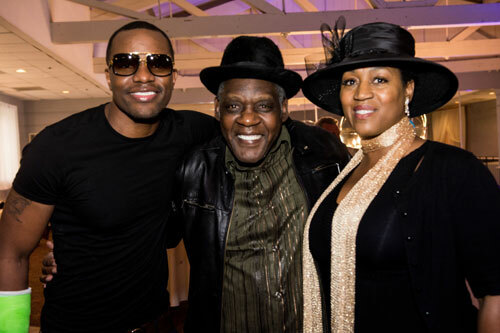 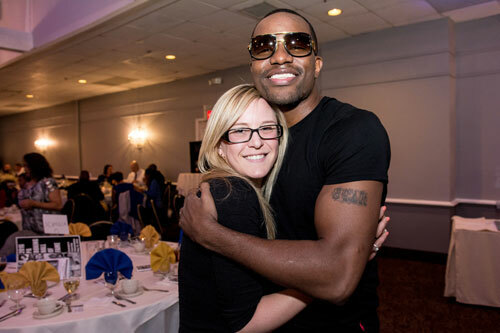 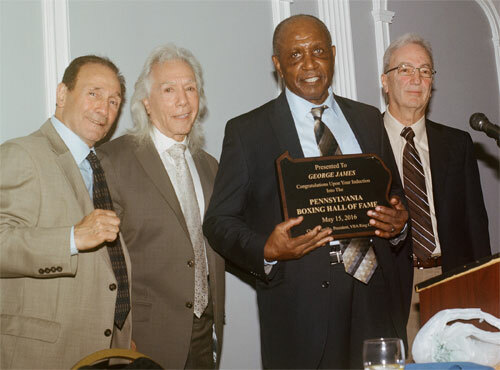 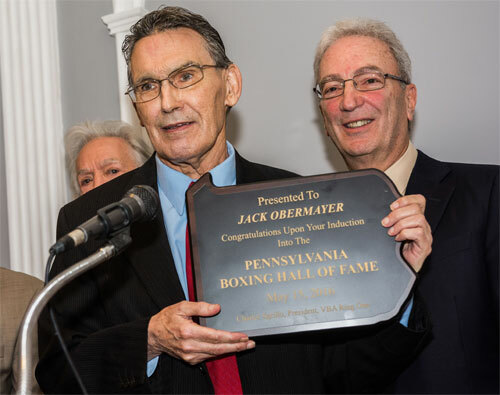 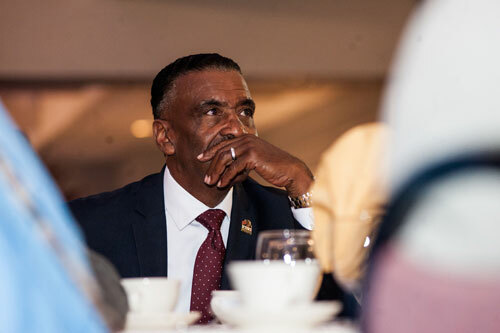 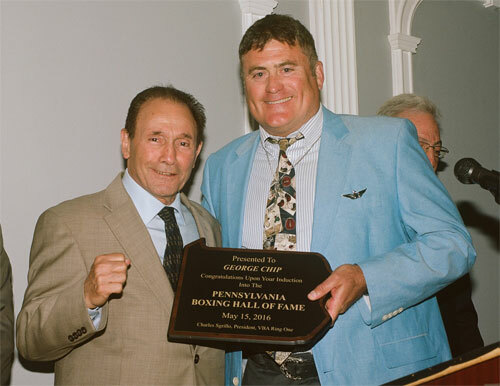 The Pennsylvania Boxing Hall of Fame held their annual induction ceremony and banquet on Sunday, May 15, 2016. 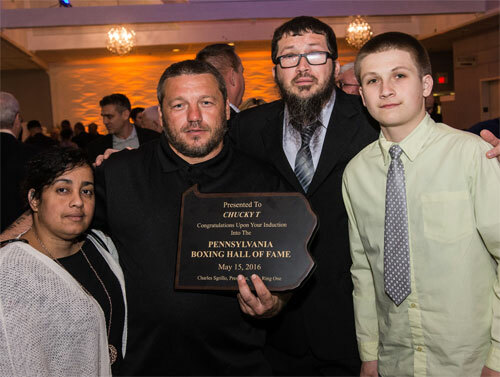 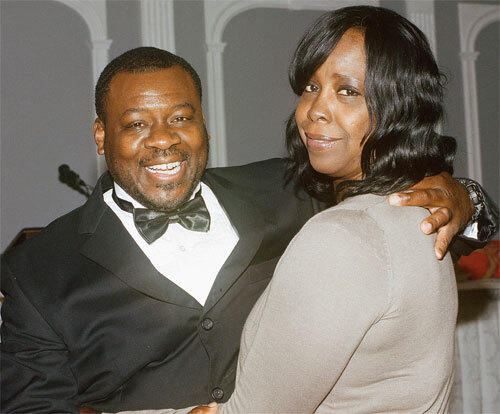 Sixteen new members were inducted at Romano's Catering in the Juniata Park section of Philadelphia. 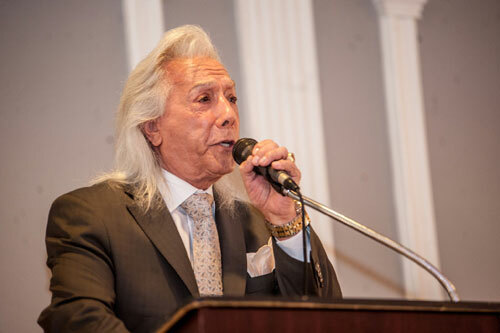 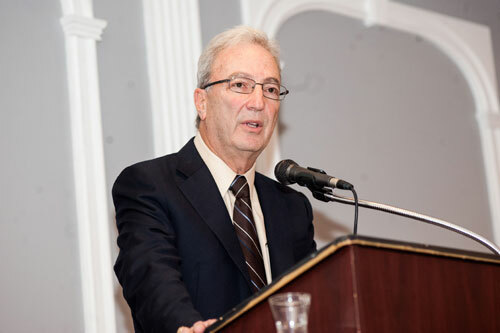 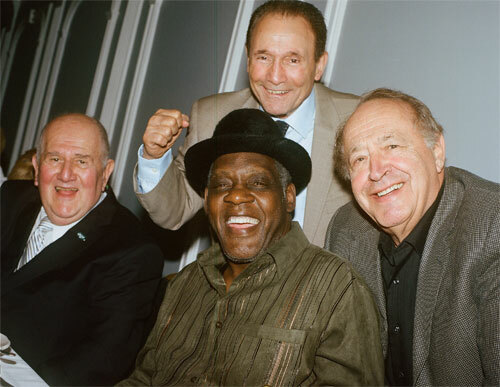 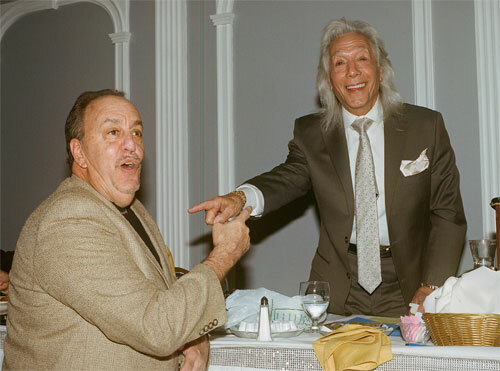 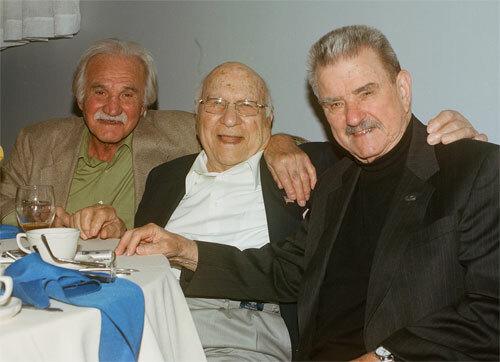 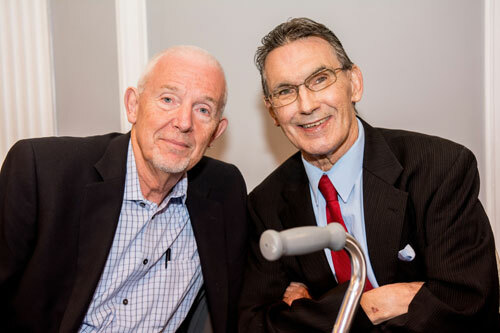 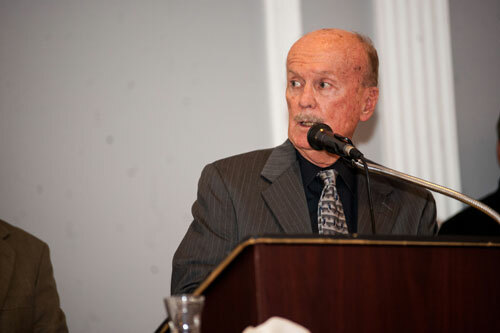 Nino Del Buono was the Master of Ceremonies and Hall of Fame promoter J Russell Peltz served as co-host. 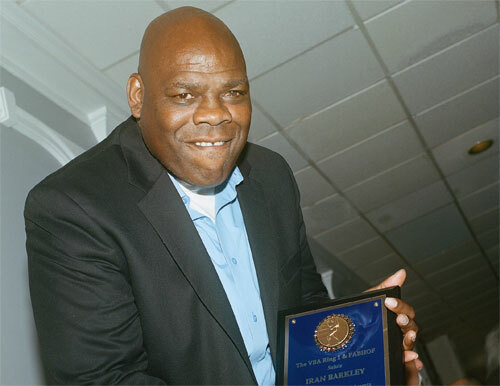 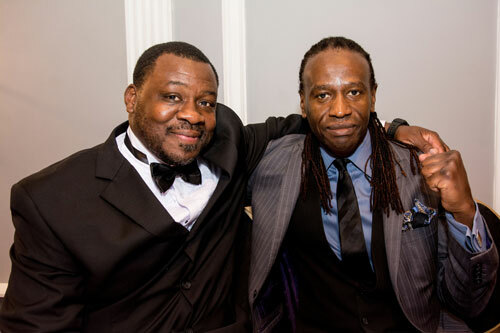 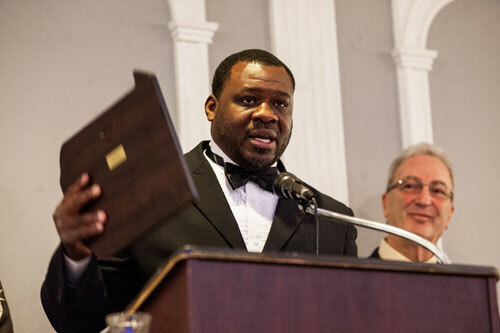 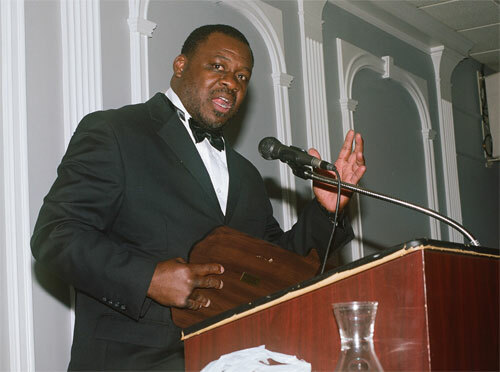 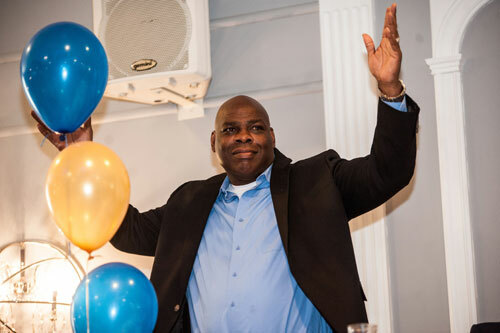 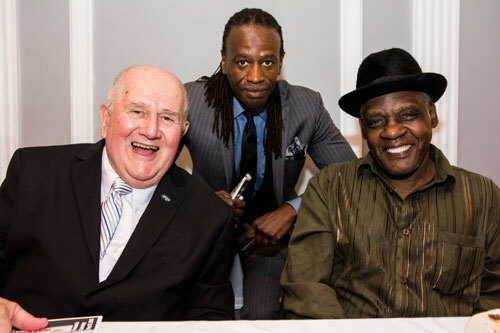 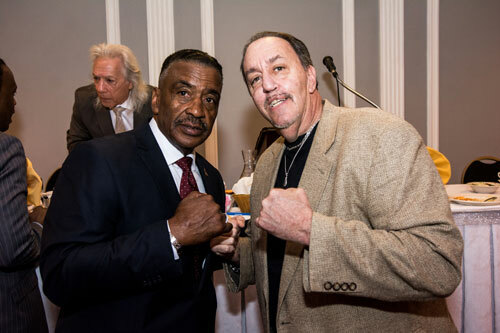 HBO judge Harold Lederman was the guest speaker and former three-division world champion Iran Barkley was a special guest. 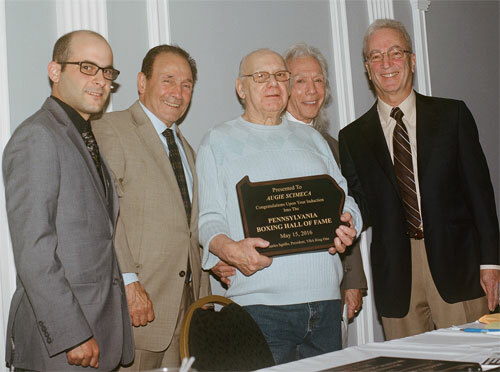 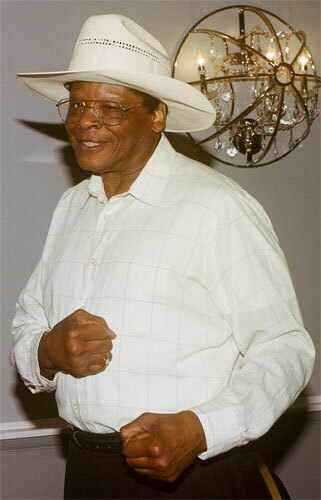 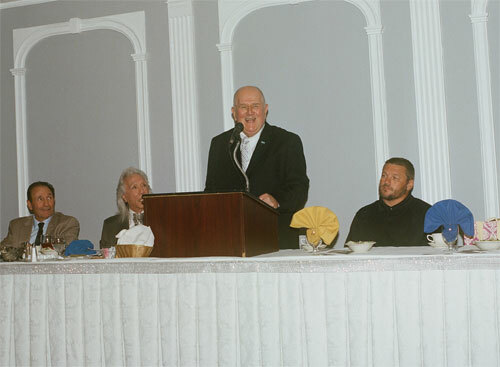 The inductees included boxers Benny Amparo, Bob Baker (deceased), Johnny Bizzarro (deceased), Harry Bobo (deceased), George Chip (deceased), Hugh Kearney, Andre Prophet (deceased), Monty Sherrick, Chucky T and Joe Thomas. 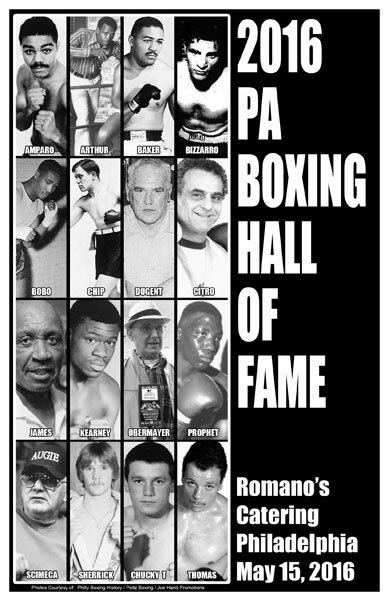 Also enshrined were non-boxers Jimmy Arthur (trainer, deceased), Ralph Citro (cut man, deceased), Duke Dugent (trainer, deceased), George James (trainer), Jack Obermayer (writer), and Augie Scimeca (trainer / manager). 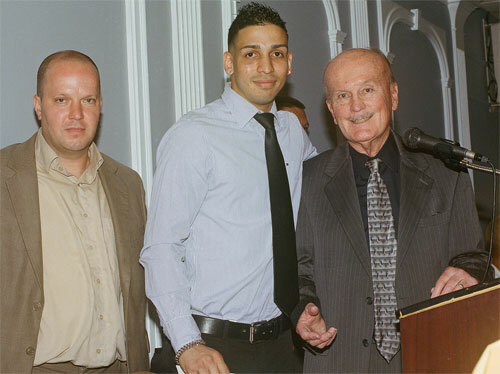 Two young fighters, Christian Carto and Anthony Ramirez, received scholarships from the Veteran Boxers Association - Ring One. 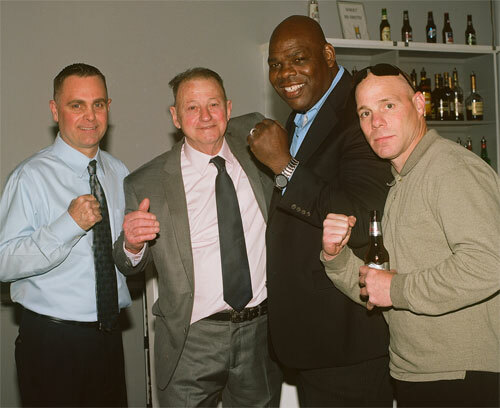 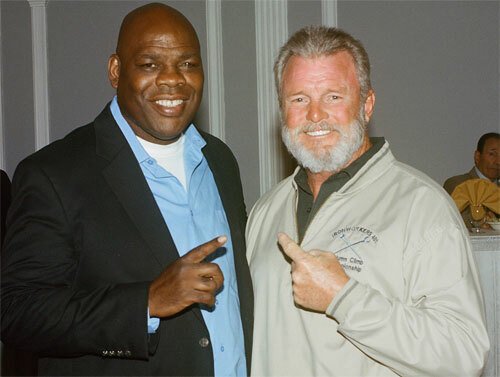 Hank Quinn, Frank Kubach, Iran Barkley & Norman Torpey Jr.